Download DMW ft. Davido, Peruzzi, Dremo & Mayorkun Mind Mp3 Below!!! 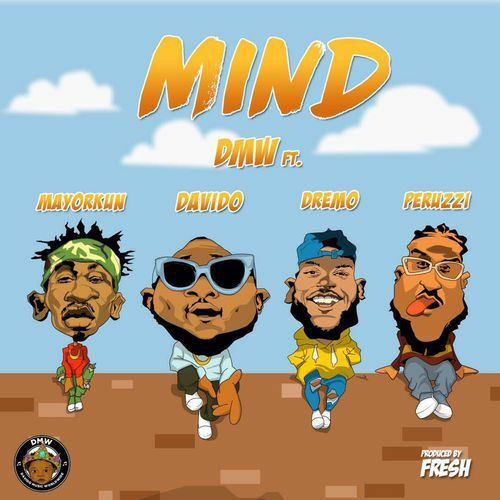 Davido Music Worldwide kicks off the year in style as the Crew which includes the lead act Davido, Mayorkun, Dremo & newly signed act Peruzzi Vibes collaborates on a new single entitled “Mind”. Fine Fine girls wan come my way,but you are still the one I want, I need,i don’t know what to do, i don’t even mind loving you, we don’t even mind collect your boo boo. More of dope singles to drop this 2018, Feel free to check it out below!